As part of the Building Schools for the Future Programme, Bushey Academy offered input into the design of their new Academy in Hertfordshire. They wanted it to be bright and welcoming, bringing the outdoors inside. 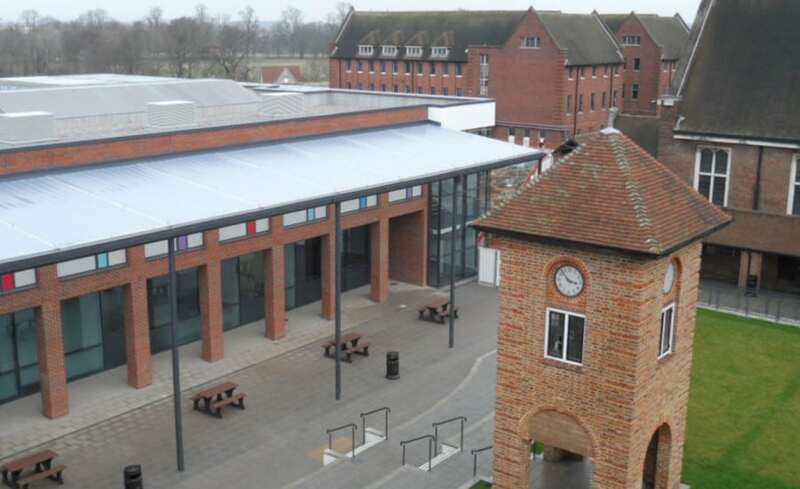 On 9 January 2013, students and staff had the privilege of walking into the 30million state-of-the-art Academy, complete with an abundance of natural sunlight from ETFE roof lights throughout and a covered walkway linking buildings. All three inflated ETFE roofs (made up of several air cushions) are maintained by a single Air Handling Unit (AHU) mounted on the roof of the building. Cushions are filled with air, controlled and monitored by the AHU. This unit only needs to maintain pressure and not generate airflow which means minimal energy consumption. The AHU operates quietly and does not disturb the classrooms below. 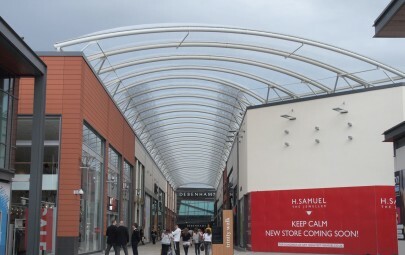 In addition to the three internal areas, Architen Landrell also designed, manufactured and installed a single skin ETFE canopy over an exterior walkway. 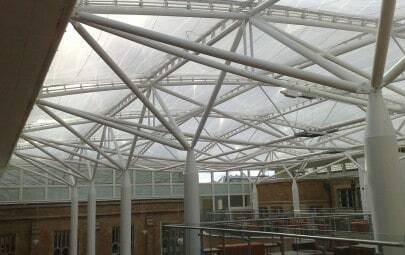 The canopy offers 255m2 of all-weather coverage for students to move between classes. 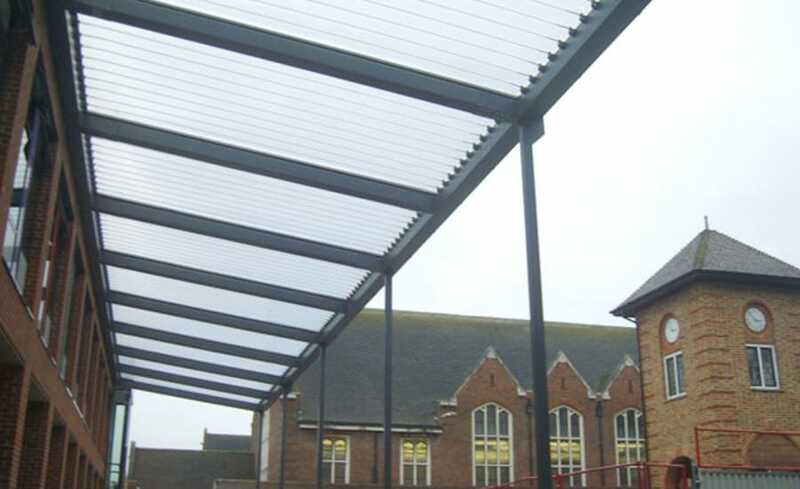 Framed with steel masts and supported by cables, the single layer canopy does not require an AHU and is not a live system like the other inflated sections. Architectural louvres were installed around the perimeter of each of the three inflated ETFE sections which are connected to the internal natural ventilation system of the Academy. They can be controlled to let heat out and fresh air into the space. 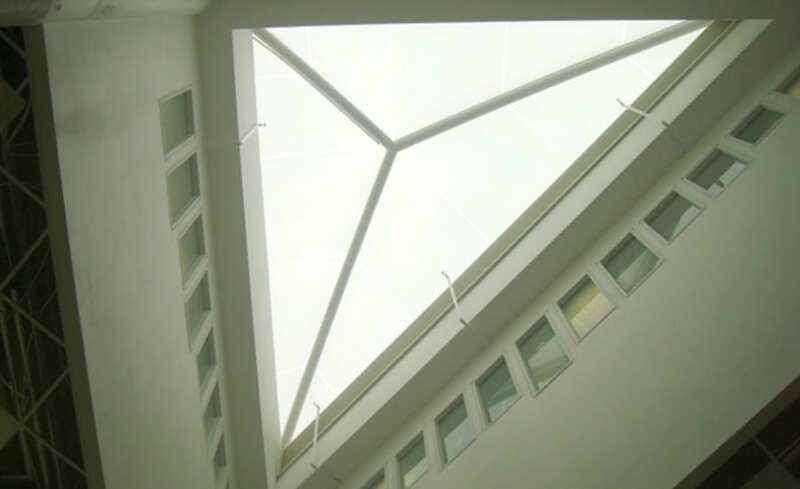 Because ETFE foils are naturally very translucent, achieving the right balance of light transmission can be achieved through Fritting. Fritting is a form of printing on the surface of the foil in a pattern to reduce solar gain. 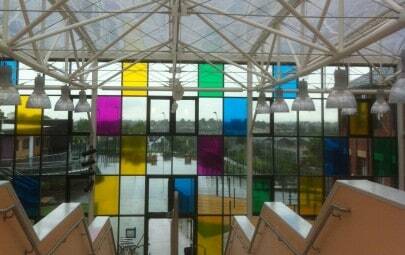 Bushey Academy chose a standard hexagonal pattern that reduced the solar gain from 64% to 35%. 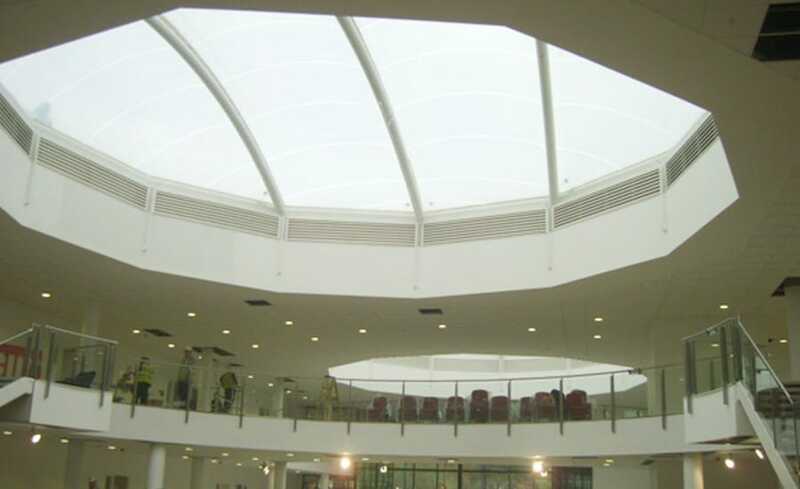 ETFE was chosen as a building medium over glass because it is economically priced, lightweight (reducing the need for additional steel), and maintenance is minimal.